Gewurztraminer is not often found on the supermarket shelf, which is too bad. It is a distinctive, aromatic grape although it can suffer from low acidity and high alcohol. 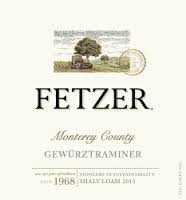 Fetzer is one of the few wineries that produce a budget “gewurz”. And it’s a good buy. Tangerine and red apple aromas dominate, simple but pleasing. The palate is quite sweet, with a weighty body but no hint of oiliness which I look for in Gewurztraminer. The acidity is just a bit low as well and the finish falls off the table, the alcoholic bitterness associated with the grape having been wiped clean. 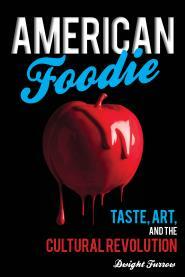 This is designed for mass market appeal. As a classic example of Gewurztraminer this doesn’t cut it but for a budget wine with enough sweetness to pair with spicy food or moderately sweet sauces, it works. There is enough aromatic intensity and textured mouthfeel to make it a worthy alternative when you’re in the Chardonnay rut. A good wine to have on hand for the right circumstance.